More than a decade ago, we were following the situation in Kunitachi, Tokyo. A developer, Meiwa Jisho, wanted to build an 18-story condominium in the city and was being opposed by locals. As is often the case with public contretemps that go to court, we lost the thread and our attention fixed on something else. The case was initially interesting because it seemed like a good and rare example of locals standing up to a developer in a concerted, effective fashion. It’s not unusual for residents to protest buildings going up in their midst, but normally such protests are so parochial in impact and fruitless in purpose–involving anything from protection of “right to sunlight” to keeping out “undesirable” elements, like single women working in the so-called water trade–that, by themselves, they offer little that would help us understand the housing situation. The Kunitachi affair was different, and while we were interested in it we thought the residents might actually have a chance to prevail. The outcome turned out to be more complicated. A recent article in Tokyo Shimbun profiled 63-year-old Kimiko Uehara, the one-time mayor of Kunitachi who was instrumental in bringing the suit against Meiwa. She has been out of politics for years now but is still involved in the Meiwa affair, except that now she is the target of a lawsuit–prosecuted by her fellow Kunitachians. Uehara first moved to Kunitachi about 30 years ago, ostensibly for the benefit of her daughter, who suffered from skin allergies. Kunitachi’s relatively bucolic environment has made it one of the most exclusive areas outside of Tokyo’s 23 wards and the people who live there have a reputation for keeping things that way. The city is famous for its abundance of cherry and gingko trees, and as Uehara became a member of the community she established a citizens group whose aim was to preserve Kunitachi’s natural character. Eventually, she ran for the city assembly and won, but after taking office realized that the body didn’t have as much power as she thought. Vested interests always won out. So she didn’t run for a second term and returned to the job of citizen activist. It was around this time that Meiwa was planning its big condominium project near the station. Someone involved with the project leaked the details of the plan, and when local residents discovered that plan called for 18 stories–about 53 meters high–they organized protests, saying that the construction would destroy Kunitachi’s distinctive environment, where no building was higher than the city’s highest gingko tree. This condo would be at least twice as tall. It wasn’t the first time locals had tried to stop a construction project. In 1994, another developer submitted plans for a condo, which wasn’t that tall but nevertheless was taller than most of the buildings around it. Residents helped draft a regulation to limit the height of buildings but the assembly voted it down, afraid that such an ordinance would scare away business opportunities. This time, Uehara decided to act. 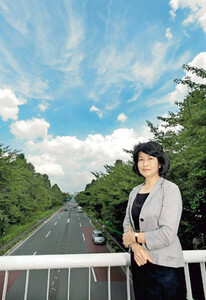 She ran for mayor and won on the platform of stopping the Meiwa project. Her rhetoric was sentimental in nature: Kunitachi was a city “created by its residents,” and they were being coopted by business interests that didn’t care about them. The final plans for the condo were submitted to the city in 1999. The assembly wanted to approve it, but Uehara garnered 70,000 signatures on a petition to limit building heights in the city. At the time there were no building height laws anywhere else in Japan. Building heights are effectively regulated using occupancy and capacity rules that are locally implemented. Such rules allow a municipality to adjust height limitations flexibly. A good part of the assembly accused Uehara of demagoguery, going so far as to call her a dictator, but she held fast with the support of a good portion of her constituency and the law eventually passed. Meiwa was forced to reduce the height of the building to 14 stories, which greatly cut into its profits since it couldn’t sell as many units. The company sued the city for interference with its business affairs. As the court case dragged on our interest flagged. In 2008, the Tokyo District Court found in favor of Meiwa, and instructed Kunitachi to pay the company ¥30 million in damages, a pittance for the developer and, considering Kunitachi’s very well-off tax base, not a big burden for the city, either. The city paid, and a year later a group of citizens sued Uehara, out of office for some years now, to pay back this money, saying that she improperly “changed municipal policy” that ended up hurting the city. The case became so contentious on the local level that Uehara’s lawyer quit. However, 40 other lawyers from outside the city read of the case and volunteered their services gratis. The case is still in court. What makes this outcome even more bizarre is that after winning its award, Meiwa paid the ¥30 million back to Kunitachi as a “donation,” a gesture of good will, which begs the question: What was the suit about in the first place? Obviously, it was about the primacy of business interests. Whether or not Meiwa has done or plans to do any more developing in Kunitachi, it wanted to send a message that it will do whatever in its power to protect its investment regardless of what residents think, and, given the subsequent lawsuit against Uehara, it seems justified in its confidence that there are plenty of locals who want them building things in Kunitachi. Perhaps these people think that Meiwa brings jobs and money to the city, or maybe they have a stake in development themselves. The fact is, Kunitachi is a rich place filled with people whose various self-interests seem to clash–they protest only those activities that affect them directly–which means Uehara is either an admirable idealist or a deluded one. In the Tokyo Shimbun article, she says that elections are pointless if everyone just wants to keep things as they are; the reason you vote someone into office is to change something. As mayor, she saw her job as “translating the will of the people” into policy. She had been given a mandate. Even when a majority agrees to one thing, there will be a minority who claims that they are being disadvantaged. “True democracy” involves the citizenry and not just politicians taking responsibility for policy decisions carried out on behalf of the majority. This sounds nice on the surface, but we’re not entirely sure what it means, especially when you get down to our own interest, which is the state of housing. The condos that Meiwa built were extremely expensive and built to take advantage of more people wanting to live in high status Kunitachi. Regardless of its effect on the skyline, the building was designed to make as much money as possible, which is why Meiwa sued and why the Tokyo District Court found in its favor. That was its reason for being, and the judge agreed that Uehara violated Meiwa’s right to make as much money as possible. The judge wasn’t saying that the new regulation was wrong or that residents of Kunitachi didn’t have the right to regulate the size of buildings in its midst, only that Meiwa’s rights were also violated. The fact is, if you’re a developer in Japan, you can find a way to build anything you want anywhere you want, even if the quality is bogus. The courts will always support you, and local governments in the end don’t really care. Cases like this are one reason why Japan should have as many World Heritage Sites as possible. The international profile of the label can protect really precious things from rapacious developers. Of course, Kunitachi is not eligible for such a UNESCO designation which is why nothing else can or will protect it. It comes back to my idea that houses (apartments even more so) are regarded as boxes or machines for living in and what is Soto or outside can be ignored. This then leads to houses built right up next to each other, frosted glass windows, shabby exteriors and a fatalism about what can be built near or around. And the ultimate logic is that the building is valued at nothing and is presumed to stand while useful and then be torn down. in return for stopping opposition to the bridge. have a magnificent bridge that stops two or three meters short of the school. Once a year the pedestrian lane is unlocked to let kids walk across to sports competitions at a school on the other side. Taxpayers will be paying for the bridge for a long time. and fish. An open sewage ditch apparently ran down the middle of the town’s main street (according to books of photos by Felice Beato). In today’s advanced Japan, river banks are for building motorways along! No houses need to be knocked down. Thanks for the post, it was well written. Can you make more post like these in the future? I would appreciate it!